As you already know, New Hampshire lost one of its most talented literary voices on June 23 of this year. 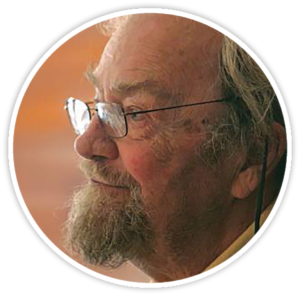 As anyone who saw Donald Hall read would attest, he cut an easygoing figure with a gentle voice, but as he read, there was an undeniable strength and passion behind his poetry. He was a generous man, too. Sure enough, he did. And he was kind enough to send a reply that read like a poem. In my letter, I mentioned a friend—a professor at Stanford—who was diagnosed with stage 4 colon cancer. This is the same cancer that Donald Hall was diagnosed with in the early 1990s and the same type I was diagnosed with in 2006. He was also later diagnosed with a metastasis in his liver, as was I.
I write from a warm June day. You mentioned Chocorua. Wasn’t that where William James had a house, which Henry visited? Jane’s leukemia took 15 months, and the only good thing about it was that we had a chance to talk about everything. We wrote her obituary together, both of us having thought about it before we knew for sure that she would die. The Stanford professor’s colon cancer has metastasized to his sacrum—and I don’t really know what the sacrum is. My colon cancer metastasized to the liver. Maybe you have read me writing on the subject. It was 1992 and I had a 30 percent chance of surviving for five years. Here we are. I’ve written so much about it! Poems and prose. There’s a prose account of Jane’s disease and death (together with memories of our years together) in The Best Day the Worst Day from Houghton Mifflin. In November I go to Purdue to talk about cancer and literature at an annual conference. Where to begin? The following are more memories of Donald Hall. I first met Donald Hall and his lovely wife, the poet Jane Kenyon, after my first book—Walking with the Great Apes—won a prize from the New Hampshire Writers’ and Publishers’ Project (as it was then known) in 1991. He and Jane joined Howard [Mansfield, her husband], me, and my editor, the poet Peter Davison, at our table for dinner after the awards ceremony. He was charming and poetic and erudite. And even though he was warm and kind, I was scared to death that I would blurt out, “A whale’s tongue weighs as much as a school bus!” or “the inside of a kangaroo’s pouch feels like the inside of your nose!” because I had absolutely nothing to add to a conversation about poetry or literature. Animals were (and still are) all I know. I can’t even remember what he talked about, only that he was mesmerizing and that I didn’t want to wreck it by saying anything myself. But I’ll never forget something Jane told me. The two of them had been to India, I discovered, and I was heading there soon for research for a new book. I asked her for travel advice, and she gave me one of the best tropical travel hacks ever, one I still rely upon: buy a ton of moist towelette packets—the ones that are in paper packets like condoms, not the ones in giant canisters—and always keep one handy. You can whip them out of your pocket to instantly refresh your face, hands, and arms when you are hot and sweaty, which is all the time. Particularly useful when you need to negotiate with an official or a kind villager offers you yet another steaming hot cup of tea when the air temperature is already 90 degrees. My husband, Walter Butts, former Poet Laureate of New Hampshire, passed away five years ago. He did have a couple of correspondences with Hall, but those are archived now at the Keene State library. They were early correspondences when Walter was just starting out as a poet, and Hall accepted one of his poems for a journal. Hall was often kind to younger poets. I personally had no meetings with Hall but respected his work. I also taught some of his work over the years in my classes. I always admired his ability to write for diverse audiences—everyone from children to sports fans to seniors! He was loved by the people, not just the academics. He will be missed by so many. About a decade back I was the codirector of Jazzmouth, the annual jazz and poetry festival held in Portsmouth for many years. In 2009 we had somehow gotten Donald Hall to agree to be our headliner. He didn’t ask for any of the perks, customary or unusual, that many of our guests did over the years. Indeed, he didn’t seem to want or need anything at all, including company. Taking headliners to dinner was a great reward to the volunteer gig, but Mr. Hall wanted to eat alone. I may have done a bit of coordinating to ensure that on the evening of our big show it was my job to get him to the green room. That meant he and I would be alone together in the elevator of the [Portsmouth] Music Hall. I extended my arm so that he might enter first, and he did. At last we could leave the already growing crowd behind us in the gilded lily lobby, and we would be alone in the quiet simple square of space. Now, I thought, I can speak to him. I wanted to gush on and on about how many times I had read Ox-Cart Man to little children in our town. I wanted to tell him how there were several days when I was a young widow where his poems stayed me to this Earth. I wanted . . . But when I looked at him, I saw what he wanted. He wanted to be left alone. To breathe slowly and deeply in the solitary silence that is the working well of all poets. It was enough to witness that. He delivered his poems that night in his soft way with nothing of the slapdash intensity most of our performers reveled in. I suspect he didn’t enjoy all the noise our festival made about poetry. He’d come to Portsmouth to share the best of his wares, but what he most wanted was to turn around and go home where by firelight he could stitch, carve, saw, and build the cart again. His wares were, of course, wonderful. Listening to him read was a memorable experience, but somehow nowhere near as profound as sharing silence with him. My correspondence with Donald Hall extended from March of 2014 until his last letter of April 2018. I had a connection to Don because my grandfather taught him, and in one instance, harassed him, at Phillips Exeter Academy. Don wrote about it in the book Unpacking the Boxes, and I wrote to Don to apologize on behalf of his old teacher, my sometimes-harsh grandfather. In reviewing our correspondence, I sense we were interested in one another and candid with each other. He also remarked, “I am sorry to have contributed to your negative feelings about your grandfather, but I remember that I thought of it as an intensification of my poetic ambition!” Then we dropped that subject and often told each other stories of our past and reminisced. Goodbye, Don. Your letters remain a comfort to me. Like many other poets, I learned the value of much revision from your words, advice, and example. Thank goodness you always pushed past criticism to follow your poetic will. Charlie Simic knew Donald Hall pretty well, I think. I didn’t, really. Hall came to UNH a few times to read and brought Jane with him. Charlie and Don would get into deep discussions about poetics while Jane and I gossiped and talked gardening. He was, of course, a brilliant man and very generous with his time and wisdom. I attended his last reading at UNH, which was only a few months before his death. Honestly, he looked like he might die on the spot. But he was still so full of fire and love for poetry. It was quite astonishing. I still hear Don’s voice, its timbre, its authority, its undercurrents: now of bemused tolerance, now of nostalgia, now of righteous anger. And I often listen to its cadences when I put my own words to the stories of our lives.